Bhutan is at an important juncture as we stand ready to graduate from our least developed country status in 2023 and become a middle income country, albeit at the lower end of the scale. This graduation will mean that we have achieved or are close to achieving our main and basic socio-economic goals. It will also mean that our economy is heading towards self-sufficiency. Having achieved and maintained political and economic stability and with our sovereignty strengthened, the question to ask is -what next. At one level, Bhutan, despite having limited resources, has never hesitated to go for its own identity and growth model that we now know as GNH. This has served us well and played a huge role in getting us where we are today, both as a nation and people. Bhutan is a soft power in its own right, and as we graduate and move ahead we should capitalize on this not just to strengthen our international presence and identity, but also to better understand our own domestic issues and challenges and solutions to them. 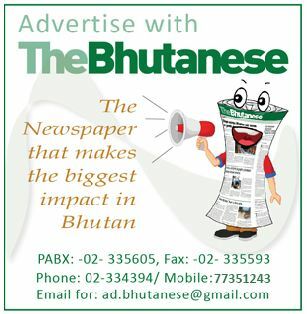 For this, we have to not only engage with the best minds in the field but with those who also deeply care about Bhutan. This is where bodies like the International Society of Bhutan Studies (ISBS) comes in providing us with a valuable and well networked resource center that does not just focus on the usual GDP and hard power, which we lack, but focuses on more relevant areas of strength like culture, ecology, bio-diversity, good governance, linguistics and more. It can also look at important social issues like education and public health, among other areas. Bodies like the ISBS is not only a way to strengthen our own academic, social and policy resources but it will can help us to shape and control our narrative at the international academic level.